Northern Heat Pump is pleased to announce the release of the NHP Looplink Design Software. If you are a HVAC contractor, geothermal equipment installer or wholesaler, this software can become one of your most valuable tools. A video about the surge of interest in geothermal energy. to learn about Rebates & Grants in your area. 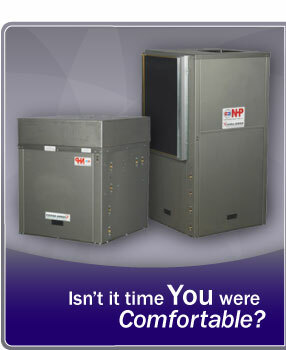 High-tech, efficient, simple, compact, beautifully engineered in a stainless steel shell - are a few of the reasons you should choose Northern Heat Pump for your heating and cooling needs. Calculate your ROI for a Northern Heat Pump product for your home.